She will stop at nothing to get her way, and this month the Queen of the Seven Kingdoms is conquering new territory with the release of the latest Game of Thrones beer from HBO and Brewery Ommegang. 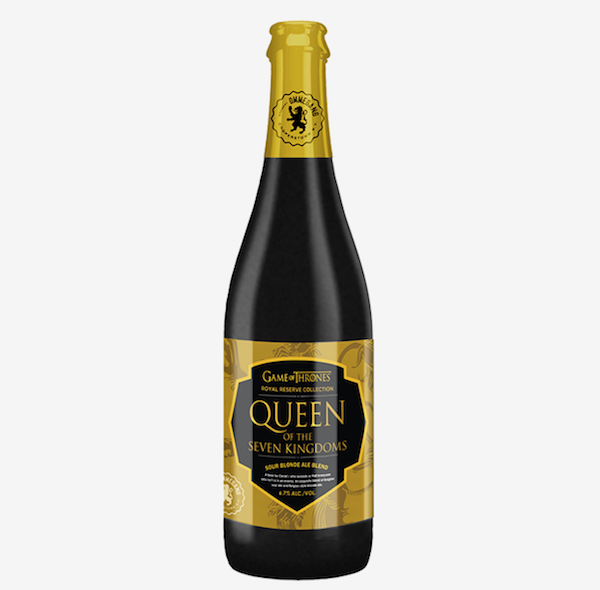 Inspired by Cersei Lannister, Queen of the Seven Kingdoms is the second in a series of four special, limited release beers from the Royal Reserve Collection, each designed and brewed as an homage to one of four epic figures in the battle for the Seven Kingdoms. To find the Queen of the Seven Kingdoms beer near you, visit the beer finder at the Brewery Ommegang site. Please note: HBO and Brewery Ommegang did send me two bottles, but my thoughts are my own. Print article This entry was posted by Art Eddy III on July 3, 2018 at 7:35 am, and is filed under Lifestyle. Follow any responses to this post through RSS 2.0. Both comments and pings are currently closed.